What do you need for an Umrah Visa and what are the rules of Umrah Visa? Each Umrah application form must be fully signed by the individual travelling in black block letters by using blank ink. If one has a non-Muslim name, he or she should submit a certificate from a masjid or an Islamic center confirming that the applicant is a Muslim. 2 Recent passport size colour photograph with white background and facing the camera frontally are to be attached with the application. 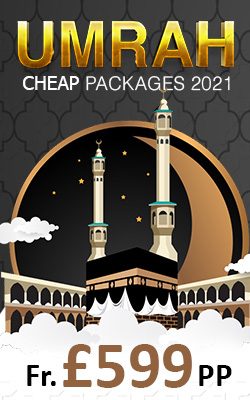 Confirmed and non-refundable airline ticket; departure from Saudi Arabia should be within two weeks from the date of entry. Women under 45 years and children under 20 years should be accompanied by husband/father or a male relative (Mahram). Proof of relationship is required (a marriage certificate for a wife, a birth certificate for a child indicating the names of both parents). The Mahram must travel into and out of Saudi Arabia on the same flight as his wife and children. in the case of other relative traveling with Mahram, please ask your travel agent for further details. In case a woman wants to travelalone she has to be 45 years and above, and require a NOTARIZED permission letter from the Mehram which states that he has no objection and permits her to travel unaccompanied for Umrah. The Mehram in Saudi Umrah Visa Requirements is the Father, Husband, Brother, Uncle, Grandfather, or Son who is of 18 years or older. In case of females who have a different Last Name than the Mehram, submit a proof of relationship like Marriage Certificate, Birth Certificate, etc. Passengers with Hajj or Umrah visas can only disembark and leave Saudi Arabia though Jeddah or Madinah airports. Travelers should ensure they are not barred from travel by any general travelling, airport and airline rules / laws and regulations that are not listed above, for which Makkah Tour™ representative can advise you. Children under the age of 18 are not granted Umrah Visa unless accompanied by an elder. An Umrah Visa is only for the purpose of Umrah, and one is not allowed to undertake any type of work on this Visa, in case of violation the Saudi authorities take a stringent view and apply the laws of the country to the full. Note: Umrah Visa is valid for 30 days only; this does not mean that you can stay in Saudi Arabia for 30 days. Within these 30 days you should perform Umrah, making sure your departure from Saudi Arabia is within two weeks of the date of entry. Prospective pilgrims should remember that Umrah Visa is only granted from the beginning of the month of Safar until mid-Ramadan, after which the Hajj season starts and Umrah visa is NOT issued.Visa validity starts from the date of issue. And although the Visa is valid for 30 days, the stay in Saudi Arabia may not be more than 15 days. Makkah Tour™ has served intending Hajj and Umrah clients for over a decade, we are offering a variety of high quality and Umrah packages for our valued customers in 2018. We offer you market driven off-the-shelf and Custom made Packages to make your trip to the holy land for undertaking your religious obligations with ease and peace of mind easy and economical. Makkah Tour™ believes in customer care and offers Umrah Visa 2018 to our valued clients. Our priority and privilege is to be of service to the Guests of Allah on their journey to the house of Allah, and the Tomb of the Prophet (PBUH). When planning for a journey for Hajj or Umrah 2018 you should keep in mind that Saudi Arabia has some of the strictest rules for issuance of Visa to foreign nationals. As per rules of Saudi Embassy Umrah Visa UK all persons travelling for pilgrimage any time of the year require an Umrah Visa from UK. How to Get a Visa for Umrah in UK is always a common question. An individual applying for a Saudi Visa has to apply through an Authorized Umrah Agent and book an Umrah for this purpose. Makkah Tour™ is experienced and trusted Authorized Umrah Agent of the Saudi Government and we offer you the services of Umrah Visa from UK, and assistance for you to get Visa for Umrah in UK in fifteen days. Hajj and Umrah visitors are strongly advised NOT to take any pictures, posters or written material of a political nature or for propaganda purposes with them, and respect the rules, regulations and customs of Saudi Arabia. Failure to comply will result in prosecution under Saudi laws. Children aged one year and above and traveling on a parent's passport must have their photograph affixed to the passport and endorsed by the authority concerned. Their photograph must also be affixed to the application form. It is preferable for parents to have separate passports made for all children. Everyone must be wondering when does Umrah Visa open for 2018? 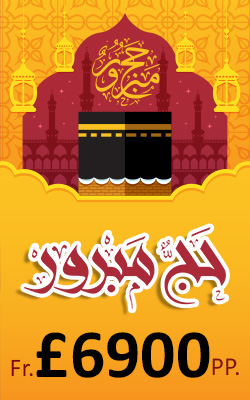 Umrah Visa applications are accepted till the 15th of Ramadan. Hajj visa applications are accepted from the 15th of Shawwal and the last day is the 25th of Dhu'l-Qada in accordance with the Hegira calendar. Makkah Tour™ is your trusted and experienced travel partners and offers an urgent Umrah visa service, to learn about this please Contact our Representatives on 0203-195-8700. Makkah Tour™ Hajj and Umrah Packages 2018 are ATOL covered to give you peace of mind for the journey. We believe in providing our valued clients the best services at most reasonable and affordable rates. Considering that Hajj and Umrah is a once in a life time experience for all the Muslims, we strive to provide a relaxing and secure atmosphere so you can focus on performing the rites and rituals of Hajj and Umrah with peace of mind.